What a way to start the day by heading down to Poldhu Cove near Mullion on a blustery Tuesday morning. We felt so lucky to have the whole beach to ourselves. After admiring the beach from the top of the hill as we came into the cove and stomping around the sandy beach and wading through the stream that runs down the middle of the cove, we hid ourselves from the wind under a rock and drank our deliciously creamy hot chocolates from the Poldhu Cafe. 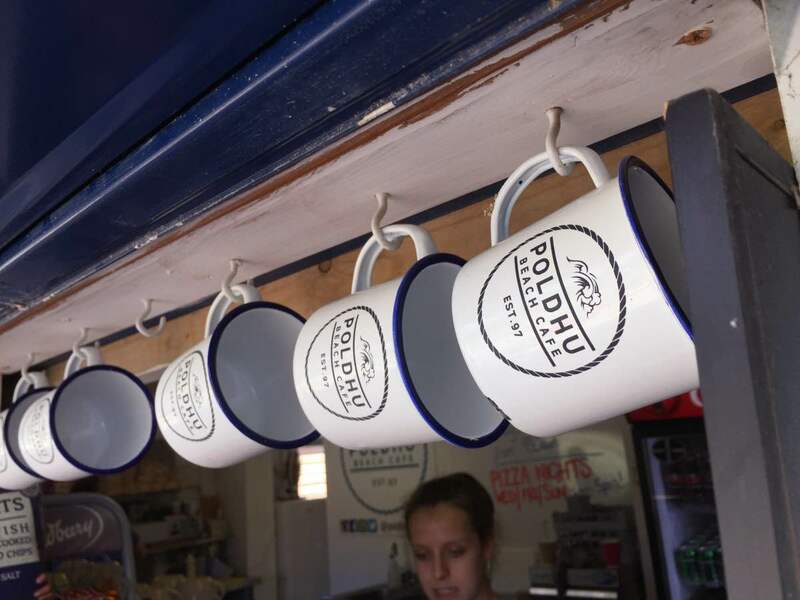 Poldhu cafe is open throughout the winter and for long hours during the summer. The cafe always seems to entice you in with its friendly and ‘beach shack’ feel, whether you are sitting inside watching the waves crashing on the shore from the table by the window or outside on the deck amongst the sand dunes on a summers afternoon eating an ice cream from Kelly’s (of Cornwall) or a Rodda’s cream tea, it never fails to impress. A selection of hot, cold food and snacks are available, either from the kiosk or inside the cafe. The staff are friendly and have normally just gotten in from a surf, a paddle board or a swim themselves, the ‘Cornish life’ is apparent here. 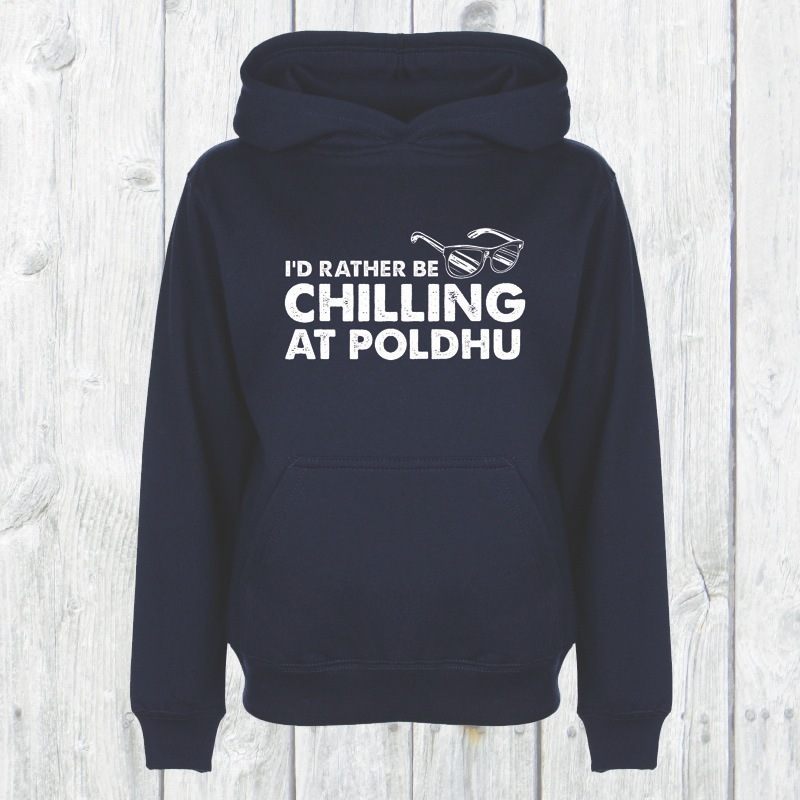 The cafe also produce a line of branded clothing. Ross and his team create surf branded clothing made in Cornwall and sell it in the cafe, various items such as cups, hats and hoodies are elegantly displayed from the ceiling and shelves. 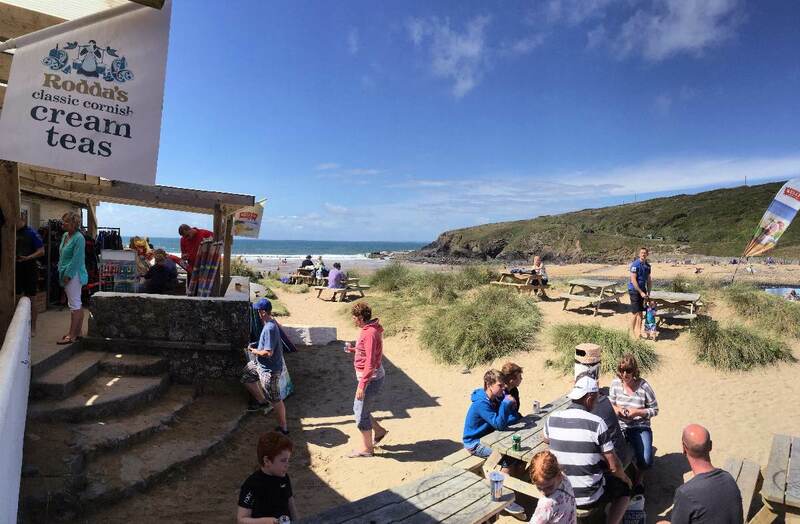 Whatever the weather Poldhu cafe is worth a visit, it is a fabulous cafe and with the added bonus of being open all year round.